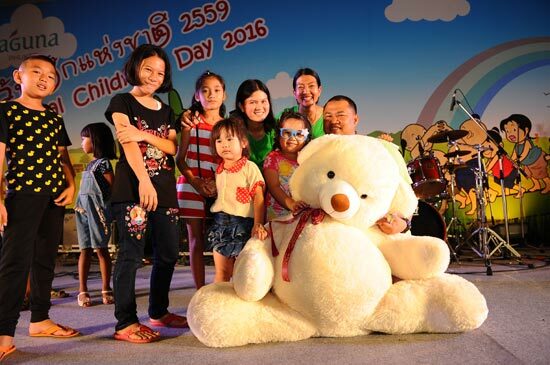 On Saturday, 9 January 2016 from 4pm to 8.30pm, Laguna Resorts & Hotels PLC hosted Laguna Phuket’s 24th Annual National Children’s Day Celebration at Canal Shopping Village by the lagoon. Nearly 4,000 community members and tourists, mostly families with children, enjoyed various activities and game booths as Laguna Phuket aimed to encourage and inspire children to become active, informed and concerned citizens of the next generation, and to help them recognize the importance of their role in the society. Thailand National Children’s Day takes place every year on the second Saturday of January. It is the day dedicated for children to have fun and spend some quality time with their families.